After what seems like eons of waiting, Capcom is finally ready to bring classic monster-themed fighter Darkstalkers to the PlayStation Network. Specifically, the publisher has announced plans to make the 1996 PlayStation version of the game available for download. That mysterious ellipsis at the end? That's all Capcom. Presumably an attempt to leave the release date frustratingly nebulous, it also makes one wonder just how much the game might cost. I'd be shocked if it was more than $10, though it's also likely to see a $5 price tag. What the announcement lacks in solid details, it makes up for in a pretty solid description of the game for those Marvel Vs Capcom players who are totally baffled by the pretty succubus lady with the inexplicable laser beams. DarkStalkers first hit arcades in 1994 and came to the original PlayStation in early 1996. That was a pretty good time frame for Capcom fighters, as both Super Street Fighter II Turbo and Street Fighter Alpha came to the US in that same period. In fact, Darkstalkers laid the groundwork for many ideas that would be put to use in Alpha and other fighting games moving forward. 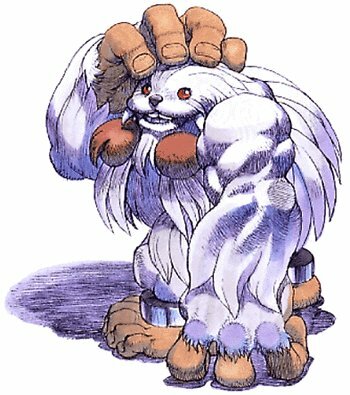 Instead of world warriors or trained martial artists, Darkstalkers pitted various monsters against in each other, which meant gorgeous, inhuman beasties battling in one of the weirdest, coolest-looking fighting games on the market. Its popularity led to sequels, comics, and uh, a cartoon that I'm probably not allowed to talk about. Ah, but of course I'm not bound by any allegiance to Capcom's higher-ups (well, beyond my borderline-romantic feelings for the Street Fighter series, anyway), so I can most definitely talk about the cartoon. Or, more to the point, show you all a clip. ... and somehow that was the best part of the entire series. In other "things Capcom failed to mention" news, it should also be noted that the PlayStation version of the game is not "arcade perfect." Owing to the RAM limitations on the console, the game features fewer frames of animation and loading times that weren't present in its original arcade iteration. That said, it's still a brilliant 2D fighter, and I want to subtly urge you all to buy the PSN release if only to show Capcom that there is a market for a current generation Darkstalkers sequel. C'mon guys, if we all work together, I might finally get the pseudo-3D Lord Raptor I've been praying for since 1999.